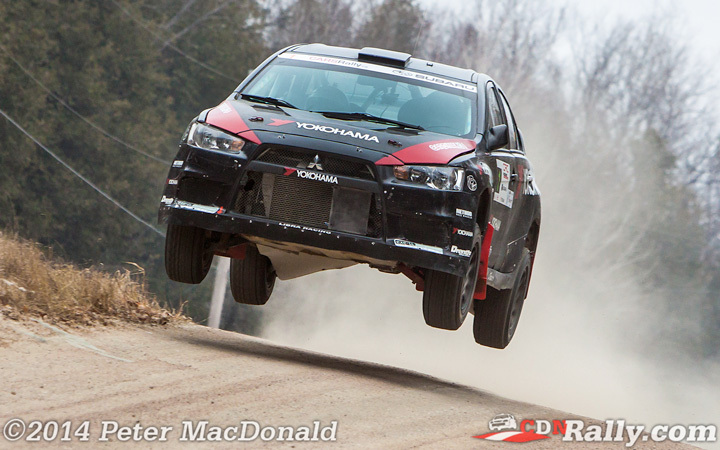 Antoine L'Estage capped off his 2014 Canadian Rally Championship season the same way it began ten months ago, with a win. 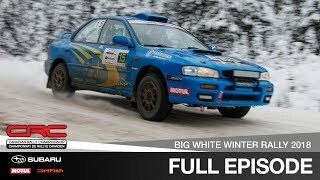 Leading every stage on his way to the sixth win of the season, L'Estage and co-driver Alan Ockwell had yet another trouble free result. 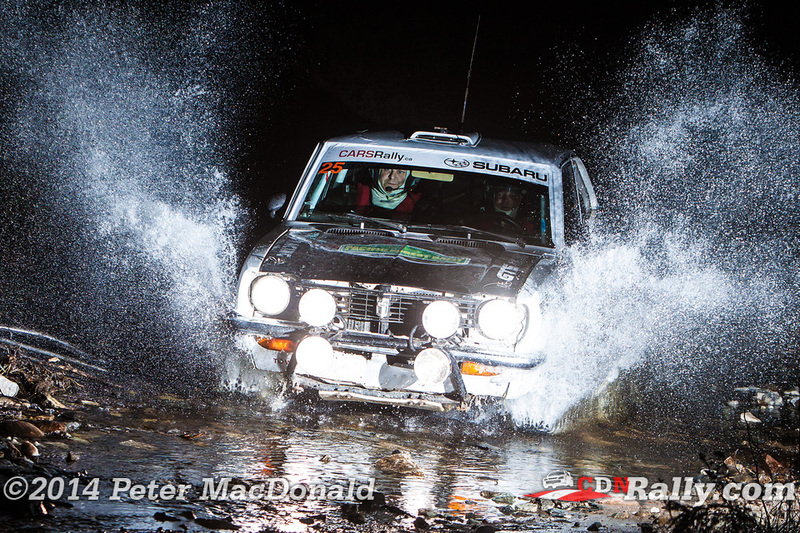 This, despite a scare on the penultimate stage of the rally, where the pair hit a water splash and thought that their engine might be flooded as they continued on. The win also had a historical significance, as it meant that L'Estage had recorded the first ever perfect season in CRC history. However, the same could not be said for Martin Rowe and Nathalie Richard. 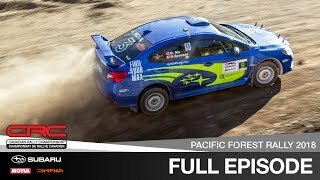 The factory Subaru team were on pace to build on their recent improvements, with Rowe looking more and more comfortable in the 2015 WRX since he entered the championship. 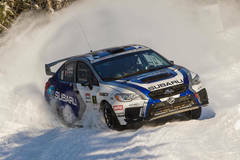 After trailing close behind L'Estage early in the rally, and trading second-place stage times with Alex Beland as the day progressed, Rowe's rally came to a premature end. As he and Richard rounded a left turn, the car appeared to hit a bump in the road, sending the brand new Subaru into an embankment. The second hit sent the car into a violent roll which tore the driver's side door completely off. Both Rowe and Richard were sent to the hospital for checks, but luckily, both were largely unscathed. Rowe's off promoted Alex Beland, who had been following the former British Champion in third. 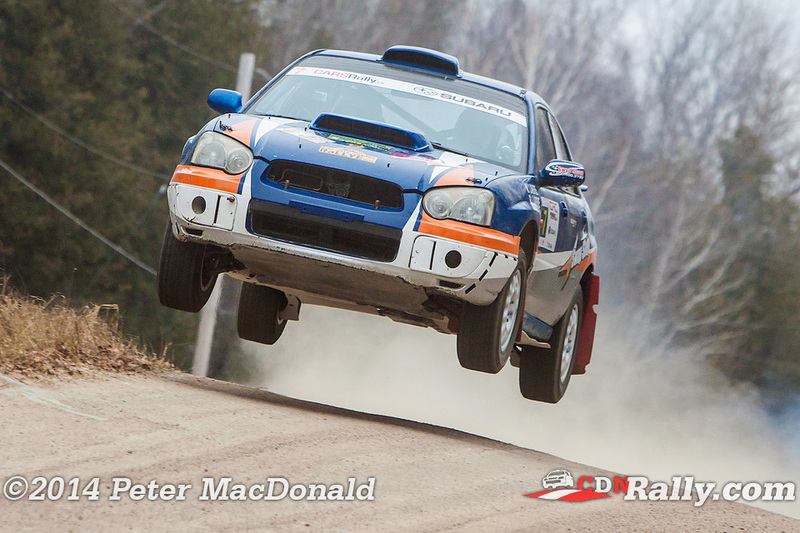 With regular codriver Lynne Murphy still injured, the Can-Jam team of Beland and Phillippe Poirier drove a clean rally in their first event together. Beland also clinched third place in the overall championship standings by virtue of his runner-up spot. 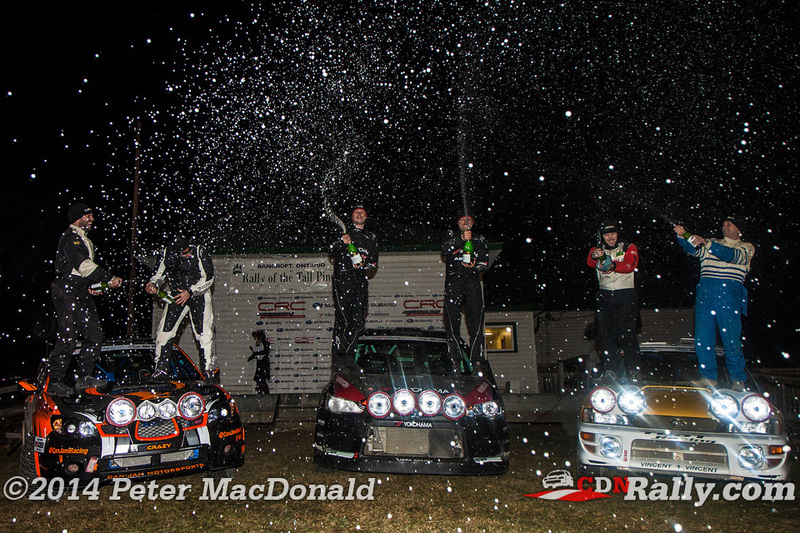 Rounding out the podium in third were Sylvain and Simon Vincent. 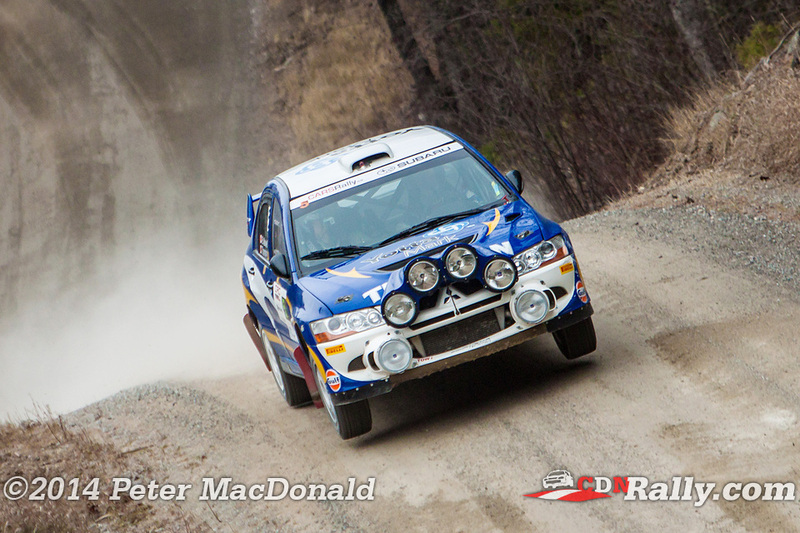 The pair were absolutely flying all day, battling with eventual 2WD winner Will Hudson. 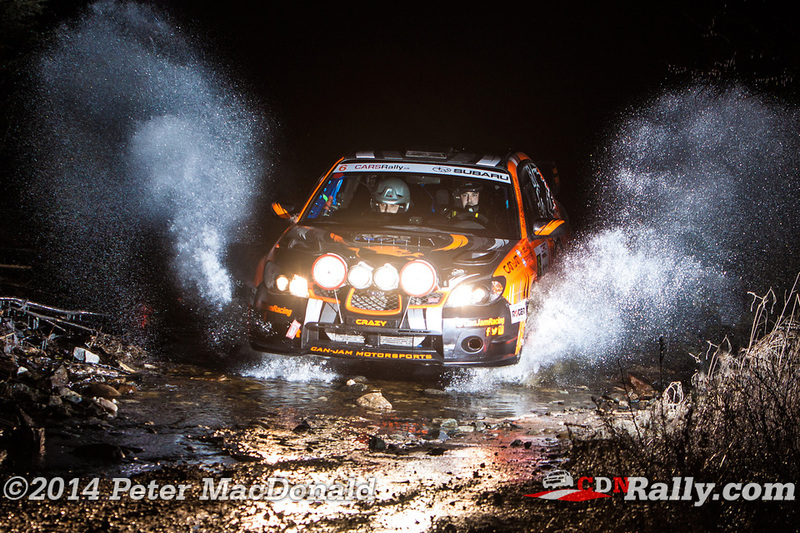 With experience paying off in the end, the Vincents' stage times picked up towards the end of the rally, and the pair were able to wrap up third spot comfortably. 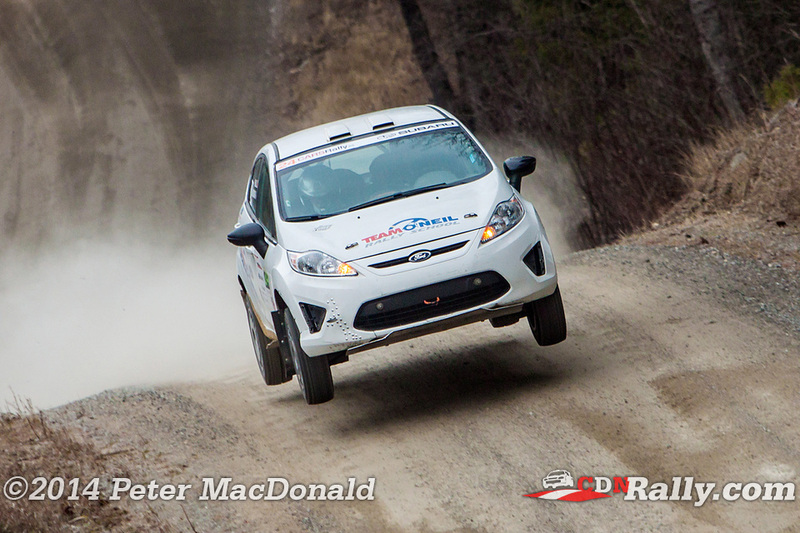 The most exciting drive of the rally might have come from the aforementioned Will Hudson. 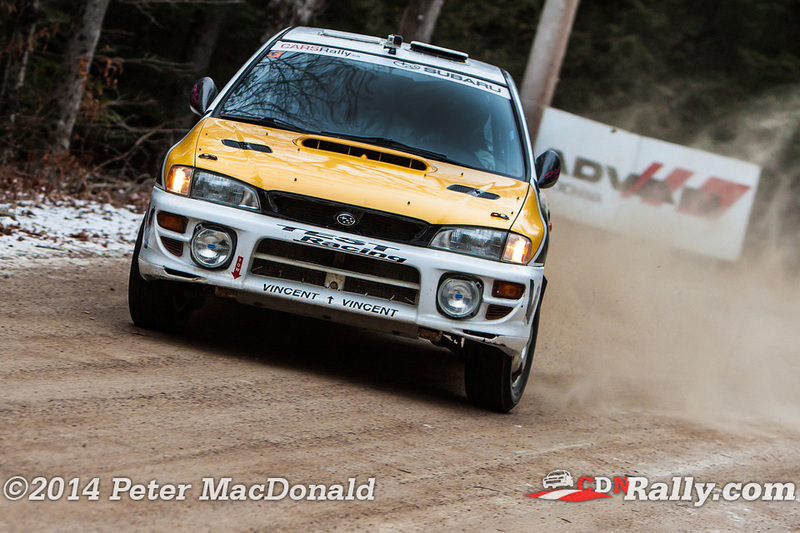 Showcasing the same no-fear attitude that has been turning heads in the North American rally community all season, Hudson battled all day with the much more powerful 4WD Open cars. 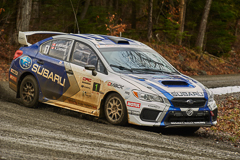 In addition to his win in 2WD, Hudson and John Hall finished an exceptional fourth overall, just over a minute and a half behind Vincent. 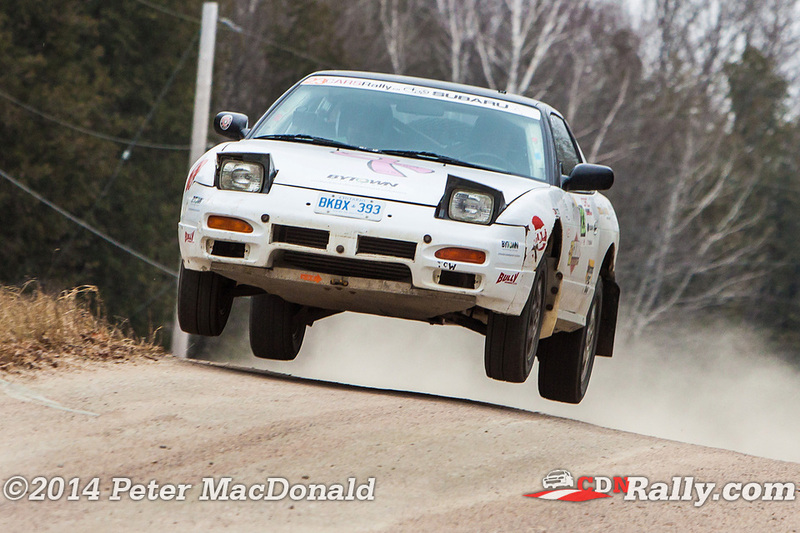 Mirroring their successes in the Ontario Performance Rally Championship, Martin Walter and Ferd Trauttmansdorff finished second overall in 2WD. With the pair only competing in a handful of events this season, experience played a key role. 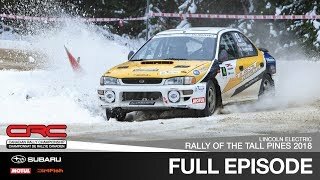 Walter admitted that he nearly went off the road a few times on the treacherous stages, but kept battling and ended up with a podium to show for it. 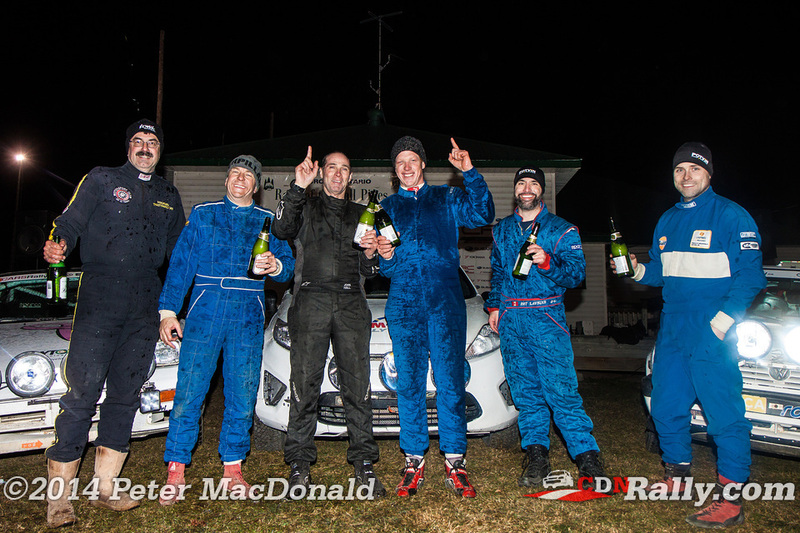 CRC regulars Simon Dube and Pat Lavigne rounded out the 2WD podium in their 1990 VW Golf GTi. Dube had a good first half of the rally, but mechanical issues meant that his times dropped off as the race approached its conclusion, allowing Walter to slip ahead. 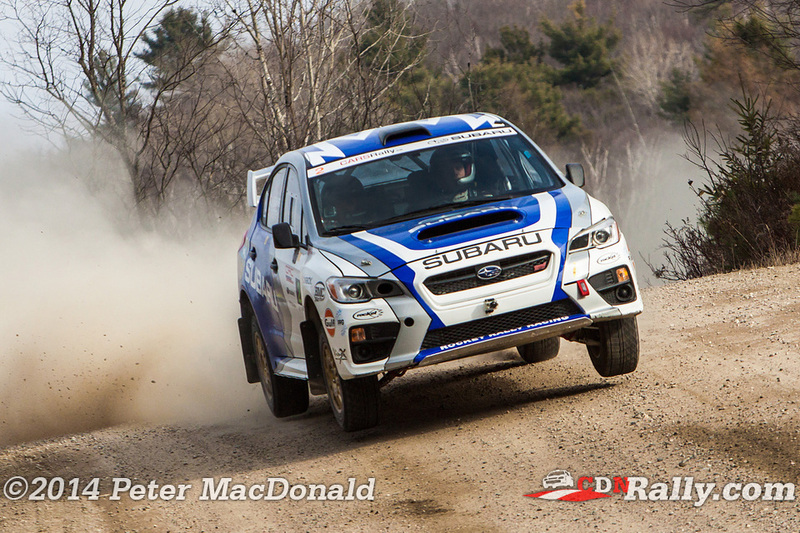 Still the finish was enough to secure the pair the 2014 2WD championship. 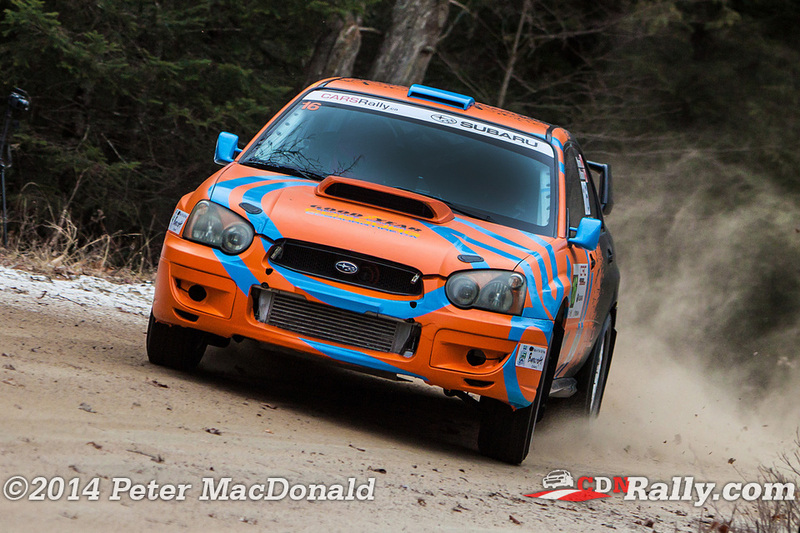 As the 2014 CRC season reaches its conclusion, teams only have a short break before beginning preparations for the 2015 season opener, Rallye Perce Neige. 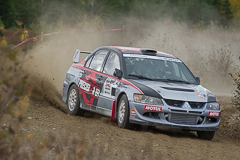 While there are still uncertainties surrounding who will be competing and at what level, one thing remains certain - that each and every driver in the Canadian Rally Championship will be gunning for Antoine L'Estage.